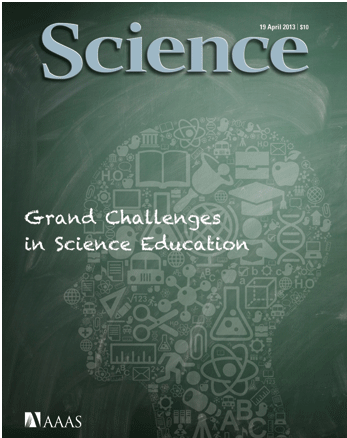 The AAAS journal Science has released a FREE special issue all about science education. You have to register for FREE access before you can download/view the articles- but it will be worth your while. Click HERE to see the Table of Contents for the issue. For those of you (like me) who plan and conduct professional development for K-12 science teachers, there is an article titled Professional Development for Science Teachers by S.M. Wilson that could be useful. Enjoy!